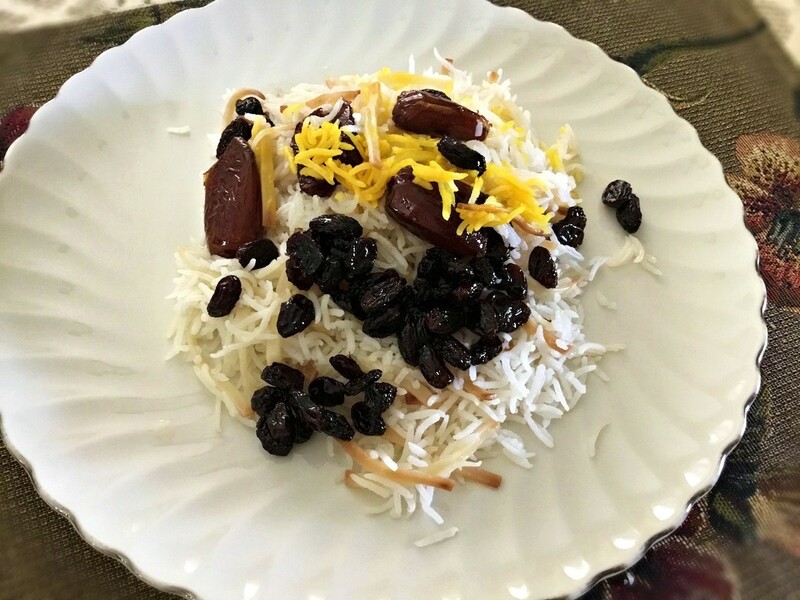 My family and I just celebrated the Persian new year. My late grandmother used to make this rice dish on new year's eve annually. Even though it has so few ingredients, it's got a great texture and full of lovely sweet and savoury flavours. 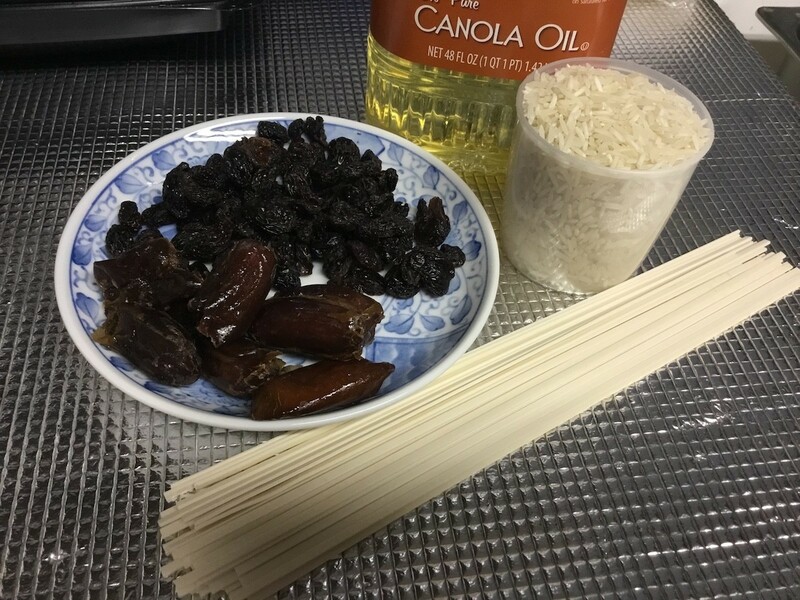 It's best to use soba noodles (buckwheat noodles) or any flour-based noodle that does not contain oil. 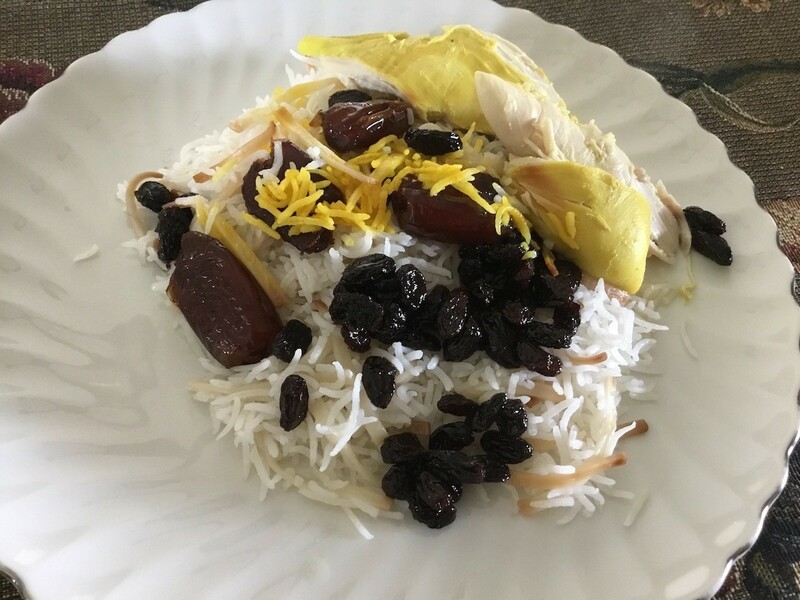 You can buy toasted reshteh noodles in Asian stores or online, but doing it this way here is way cheaper and just as delicious! 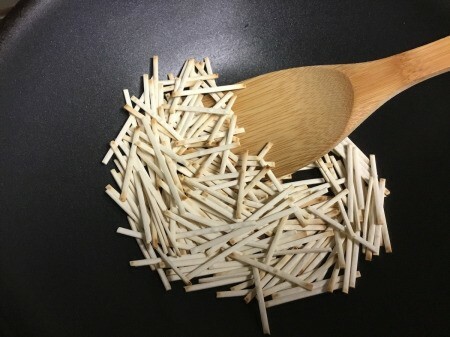 Dry toast the noodles in a pan over medium-low heat (no oil) until lightly browned. Fry the raisins and dates over medium heat with 3 tablespoons of oil for 2 minutes. 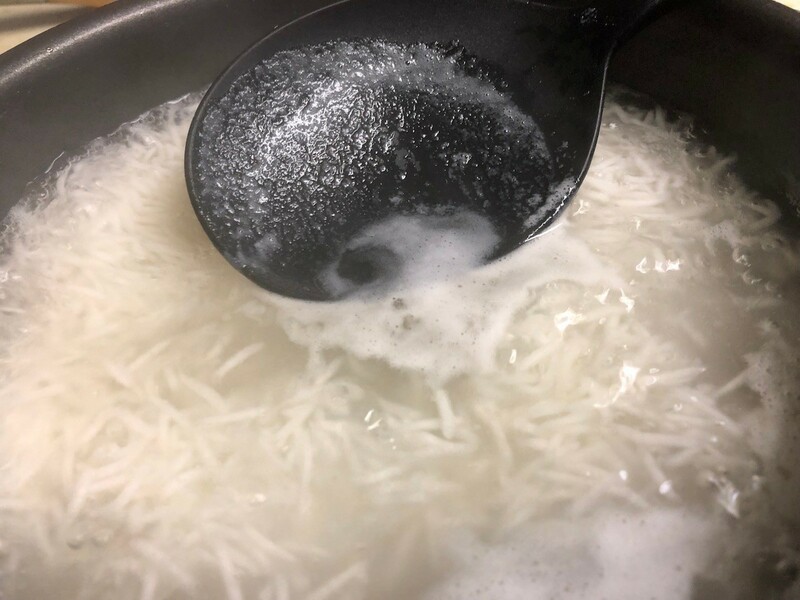 Drain rice from saltwater and boil in a big pot of hot water. Cook until the rice starts dancing around and is cooked to al dente. 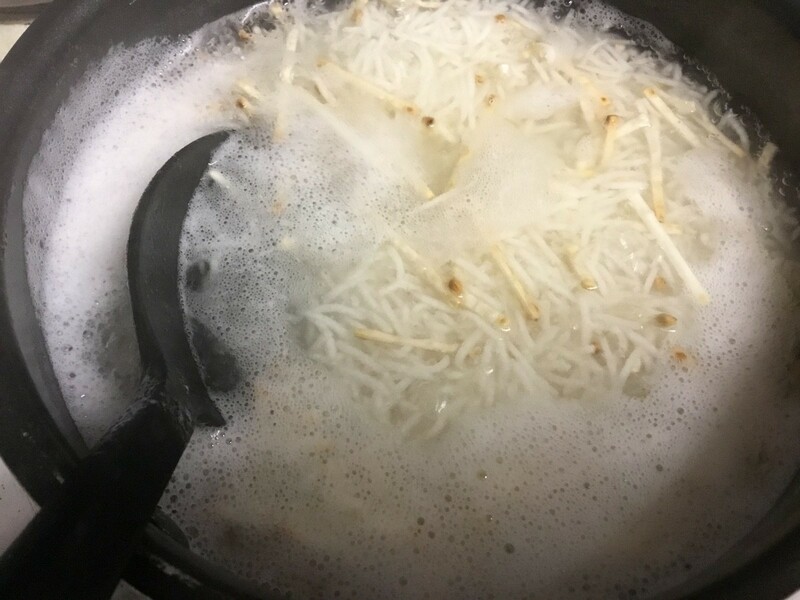 Add toasted noodles to boiling rice and cook for about 5 minutes. 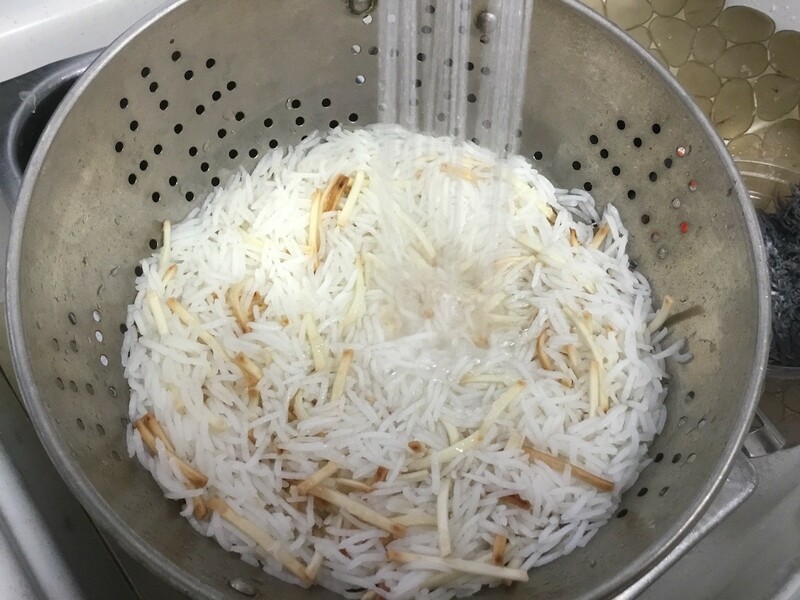 Drain rice and noodles and give it a very quick rinse. 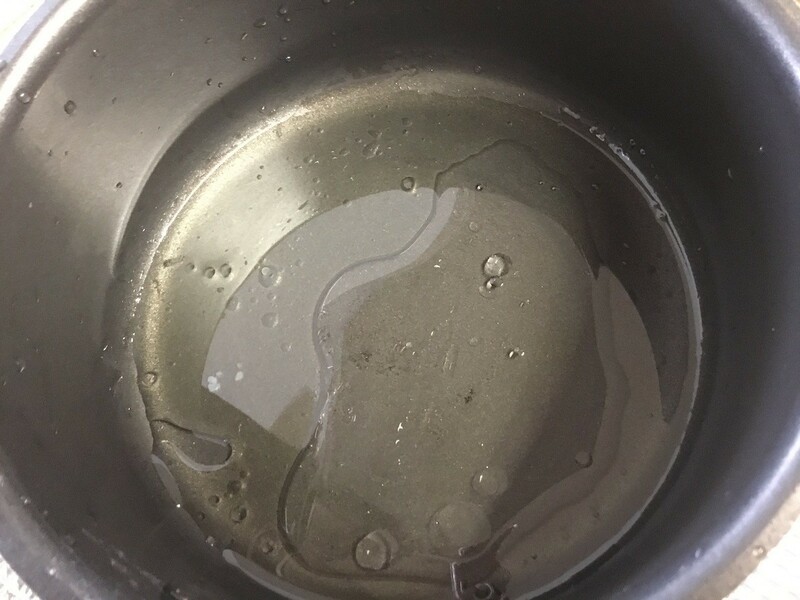 Add 1 tablespoon of oil and 1/4 cup of water in a pot over medium-high heat. 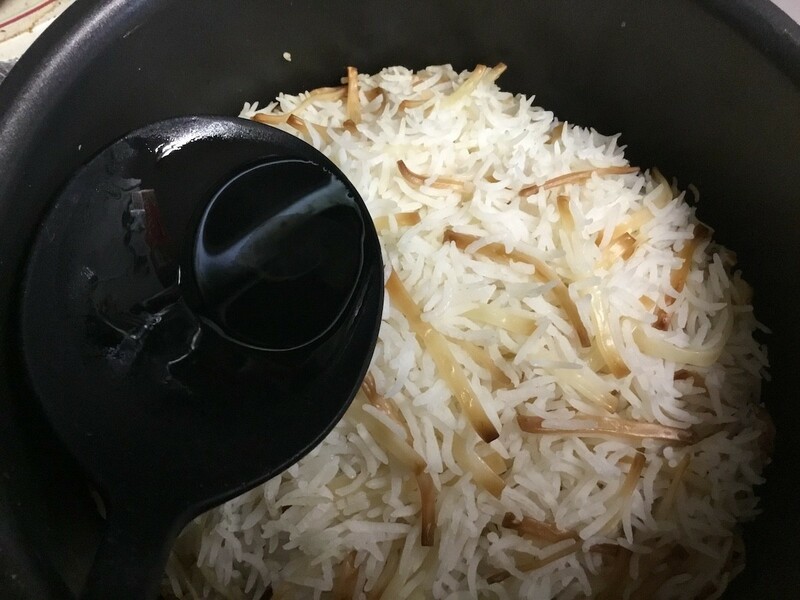 Start spooning the rice in little by little, allowing air to get trapped between layers (don't pack it in). Cook over medium heat until you see steam coming up, a few minutes. 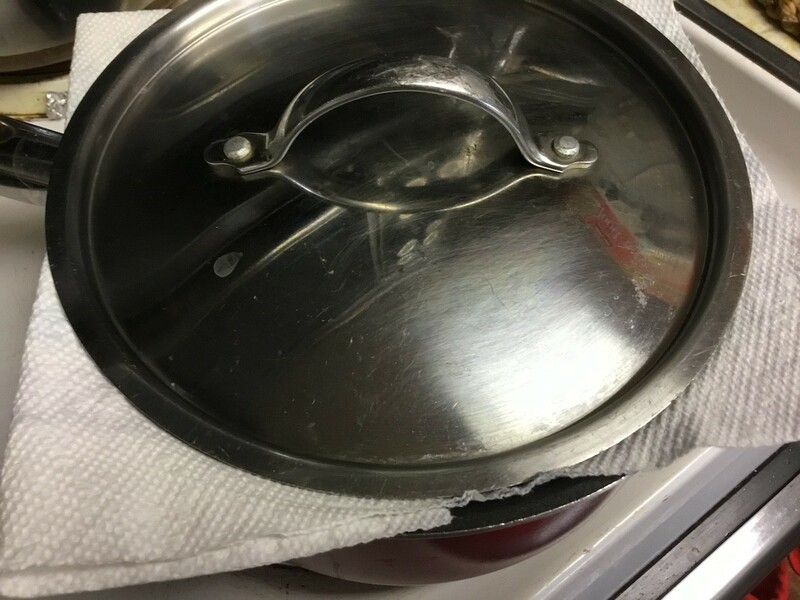 Switch heat to low, place some paper towels on top of the pot, then cover with a lid. Cook for about 30 to 35 minutes. Drizzle in 1/4 cup of melted butter, then cover with paper towel and lid again. Cook about 5 minutes. If you like, mix together 1/4 teaspoon saffron powder and 1 tablespoon of water in a bowl. 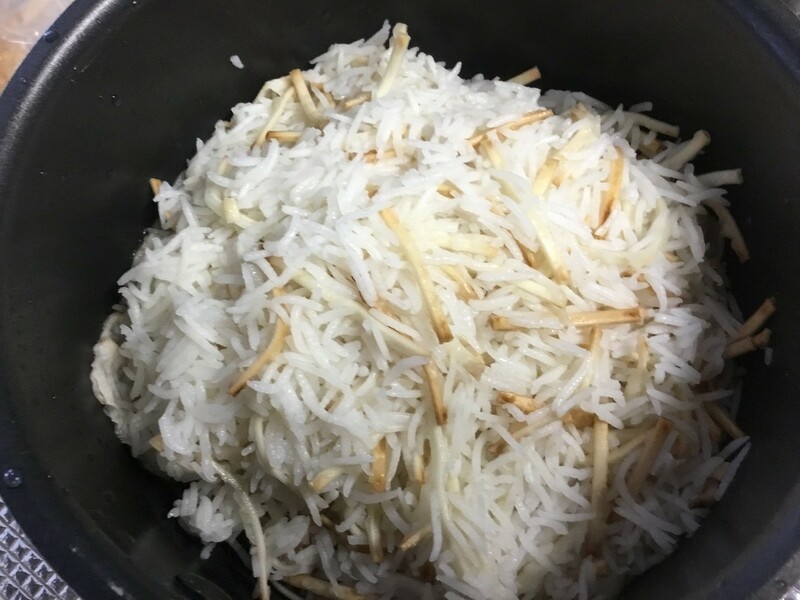 Add 1/4 cup of the cooked rice with this saffron water to make some saffron rice. 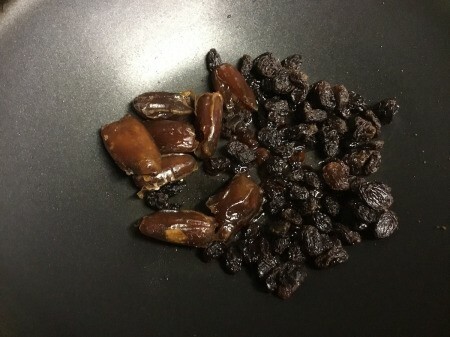 Serve this, along with the raisins and dates, on top of the rice. This dish pairs nicely with poached chicken. I can imagine elder/experienced food preparers making this dish without a recipe in front of them, and that vision makes me happy! Homey dishes with complex flavor are the best. Thanks for sharing! I'm always so impressed with your cooking. Love your vision, Erin!!! :) I must agree!